Wenge (Millettia laurentii) is a good choice for blocks and for interior and exterior joinery and general construction work. 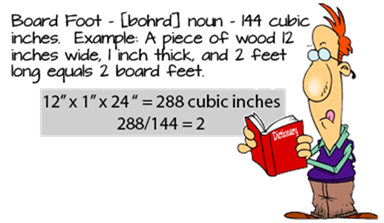 It is a good wood for turning and is sliced for paneling and veneers for furniture and cabinets. 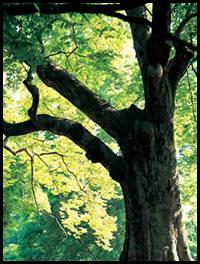 As with most exotic woods, it is selected for its color and dramatic appearance in any project that seems appropriate. That being said, it is definitely not used in acoustic guitars, because its porosity dampens the sound waves. The heartwood is dark brown, almost black. On the quartersawn surface, fine pencil-thin, light tan lines interspersed with blackish brown stripes make the surface appear as if it has been stroked by the fine claws of some wild jungle animal. On the tangential surface, the light lines show up as undulating streaks, like waves on the water. Orientation of the grain is an important consideration to show the wood at its best. 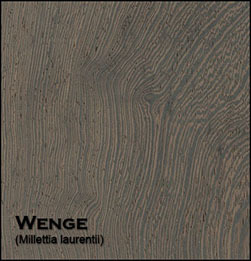 Wenge is straight grained, and very coarse textured, similar to the slivers from bamboo flooring. This wood will sand reasonably well and give an acceptable finish if one is aware of the oily surface. It is a very porous wood though, so pore filling is essential if a fine finish is required... challenging for the beginning woodworker. Wenge wood provides a challenge to both the artist and the crafting skill. Sharp tools are essential. 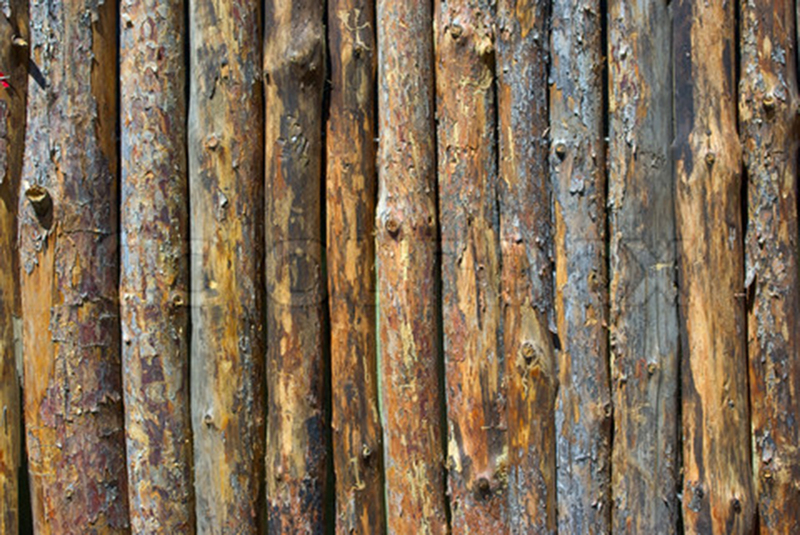 The long coarse texture can tend to tearout and cause some difficulty in sanding. The wood will glue well if the gluing is done as soon as the surface is dressed by planing, sanding or scraping. Workers can be adversely affected by the irritating dust of wenge. Its toxicity is well known in many parts of the world because the bark of several species is ground into a powder to numb fish for harvest. Dust collection systems are essential when working with wenge and remove wood slivers ASAP because they tend to fester. Workability Difficult to work with both hand and machine tools. Difference in cell density between dard and light areas often results in uneven surface. Splinters easily: caution should be taken as splinters have a high risk of infection.Breathing dust is known to have central nervous system effects though severe reactions are relatively uncommon.